Last week was my last day of work for the summer. The teachers had to go in last Tuesday for 2 hours. Yes, you heard that right, 2 hours. So on Tuesday morning I went into work from 8-10 in the morning. 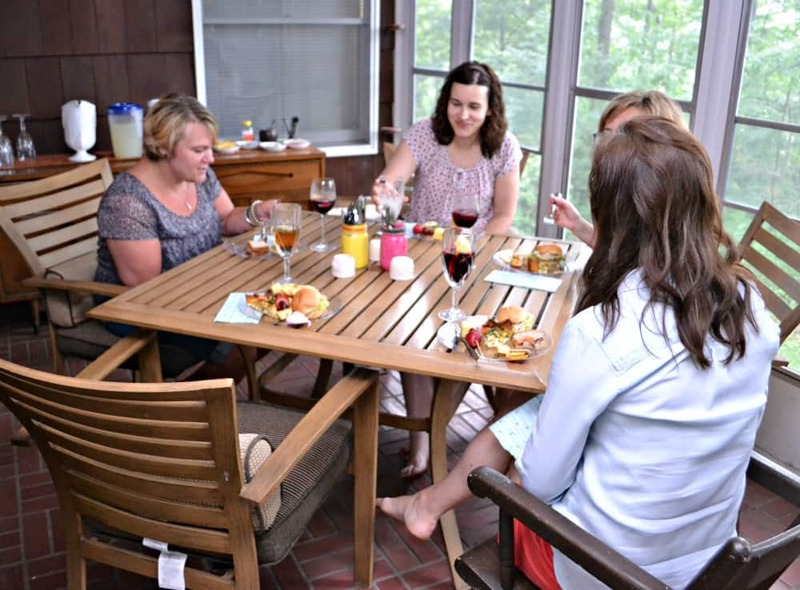 Afterwards I hosted a tea party for my book club. It was my turn to host and since we are all teachers I thought it would be a nice way to kick off the summer. I’ll be sharing how I prepared my iced tea and lemonade bar tomorrow. Earlier in the week I shared another recipe from my tea party, my fruit kebab and fruit dip recipe! Now besides the actual tea, I think the most important part of the tea party is the food. Whenever there is a tea party there must be tea sandwiches! I’m pretty sure there’s a rule about that somewhere. 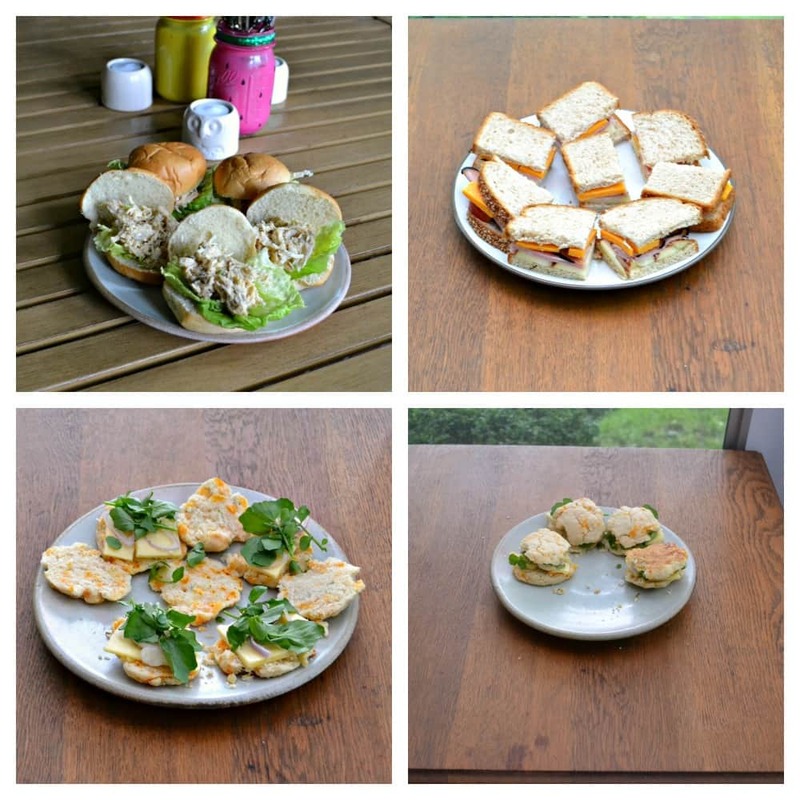 I wanted to serve a variety of tea sandwiches on a variety of bread products so everyone could find a sandwich they liked. Plus, since they are so small, everyone could try each sandwich if they wanted! I immediately decided that one of the sandwiches needed to be vegetarian. However, just because it was vegetarian didn’t mean it had to be boring. I actually ended up making cheddar chive scones, slicing them, and making them into tea sandwiches with shallots, Londoner Farmhouse Cheddar, and fresh watercress leaves. The I made a tea sandwich on white bread with apples, ham, and Londoner Red Leicester cheese. 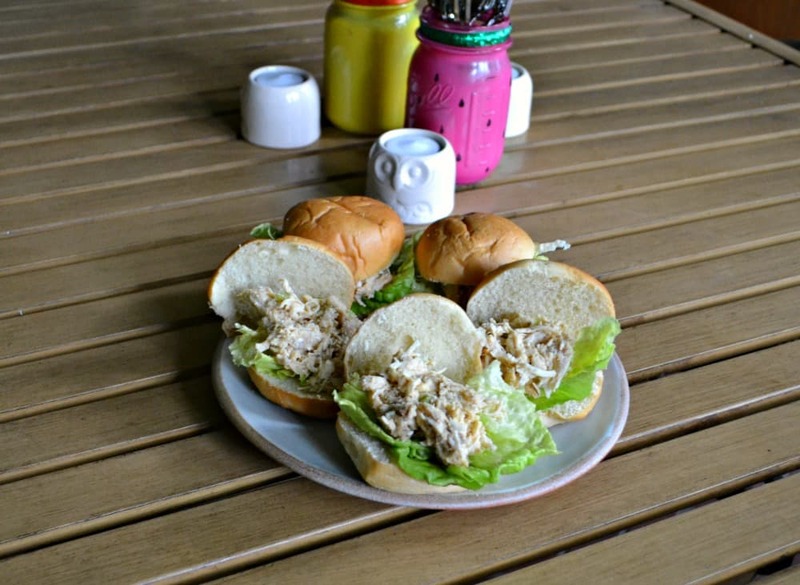 The final tea sandwich was a hummus chicken salad on rolls. All three looked beautiful and went perfectly with the theme. I also made scones to go along with the tea party theme. I made the cheddar chive scones and while I turned half of them into sandwiches, I left the remaining half plain. I thought people may want to spread them with butter or put thin pieces of Londoner cheese on them. Then I made a sweet cranberry scone and served it with lemon curd or homemade strawberry jam. I also made one of my famous cheese platters. I think cheese goes with just about anything and tea is no exception. 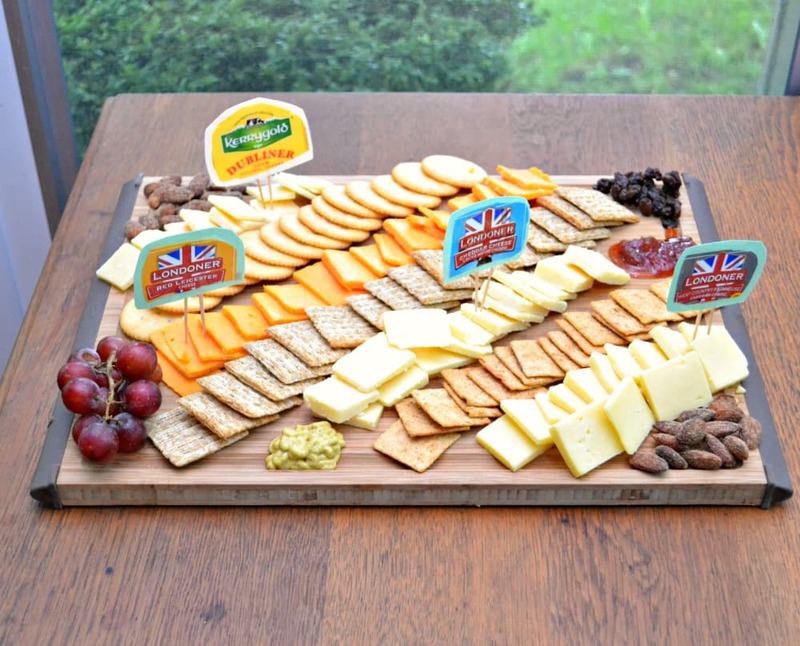 I really went to town on my cheese platter, using a combination of Londoner Red Leicester, Londoner Farmhouse Cheddar, Londoner Cheddar, and Kerrygold Dubliner. Then paired it with 3 different types of crackers, fresh grapes, a few strawberries, brown mustard, homemade jam, and several flavors of almonds. I love my cheese plates with fruit, nuts, and a few things to dip the cheese into. The cheese plate was also great for nibbling on before eating the tea sandwiches and then againlater on when we were just chatting. 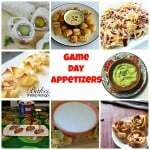 Putting together this tea party was fun and making the food was easier then the food I make for most of my parties. Usually I’m baking and cooking a lot of different things but for the tea party I mostly just had to put things together. My best advice is to bake the scones a day ahead of time and slice all the cheese ahead of time too and put them into baggies. Make tags for the cheese plate as well. I simply cut the names off the wrappers and taped them to colored cardstock, then taped the cardstock to toothpicks to place in the cheese. Simple, effect, and cheap. Make sure to check out the fruit kebab and fruit dip recipe I posted earlier in the week and I’ll be posting my ideas for an iced tea and lemonade bar on Sunday! 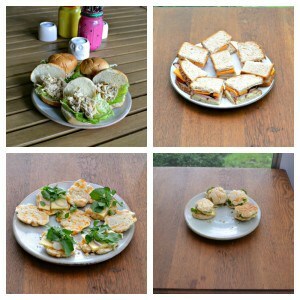 A trio of delicious and easy to make tea sandwiches perfect for a luncheon or a tea party! In a large bowl combine the shredded chicken breasts, lemon hummus, celery, garlic, pepper, salt, and paprika. Mix well and refrigerate for at least 2 hours before serving. 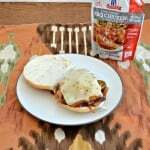 When ready to serve place a lettuce leaf on a roll and then top with ¼ cup of the chicken mixture. 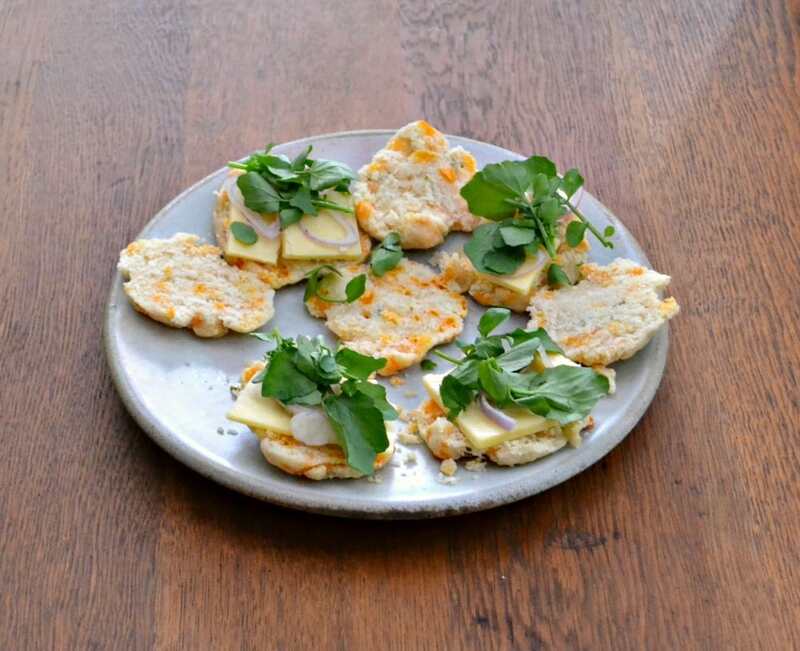 To make the vegetarian scone sandwiches simply cut the scones in half then layer with the shallot, Farmhouse Cheddar cheese, and watercress leaves. Serve immediately. To make the ham, apple, and cheese tea sandwiches lay out 3 slices of white bread. Top each slice with 5-6 apples slices, 1 ounce of ham, then 1 ounce of cheese. Top with another slice of bread. 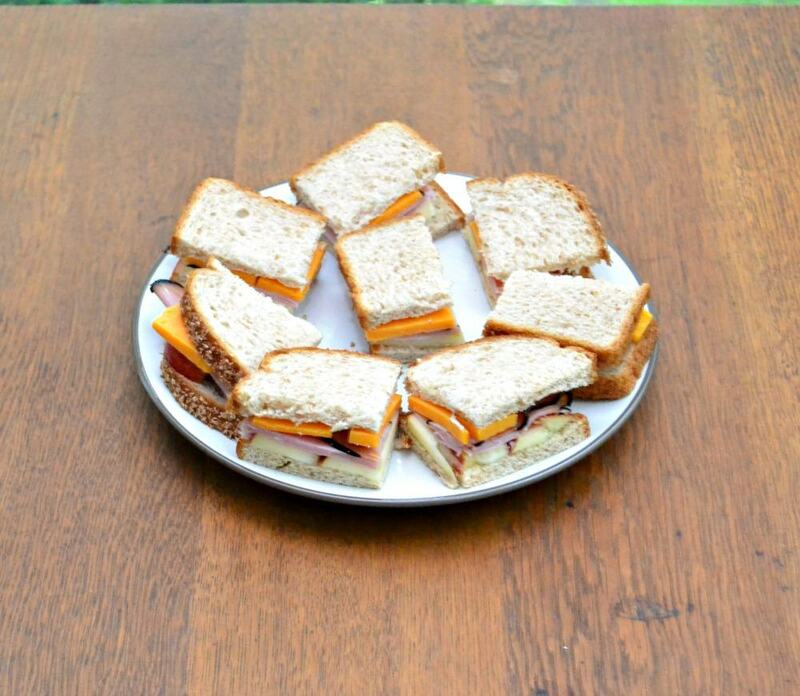 Cut each sandwich into 4 squares and arrange on a plate. 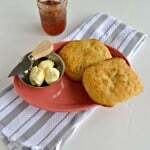 Vegetarian Scone Sandwiches and Ham Apple and Cheese Sandwich recipes are from Londoner Cheese. 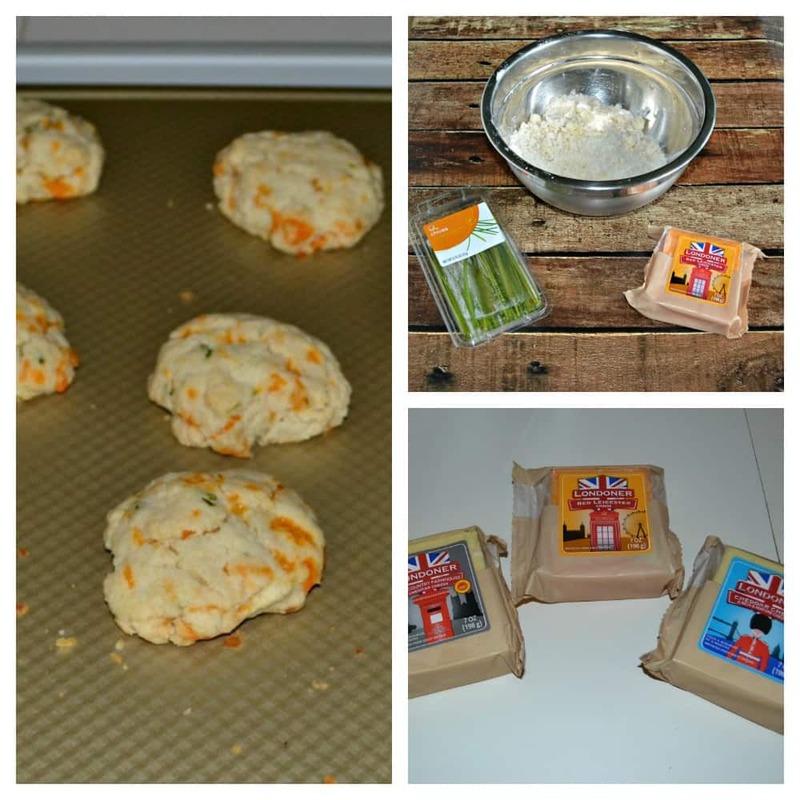 Delicate scones are filled with Londoner Cheddar cheese and fresh chives. Perfect for a tea sandwich or for serving with butter. Add in the butter and mix with your hands until the mixture resembles wet sand. Stir in the cheese, milk, and chives. Mix well until a dough forms. Gather the dough into a ball and knead several times. Divide the dough into 10 or 12 pieces and roll into balls. Bake for 13-16 minutes or until golden brown. Remove from oven and allow to cool for 3 minutes before removing from pan and cooling on a wire rack. I was provided with the Londoner cheese for my tea party but all opinions are 100% my own.